"T.P. 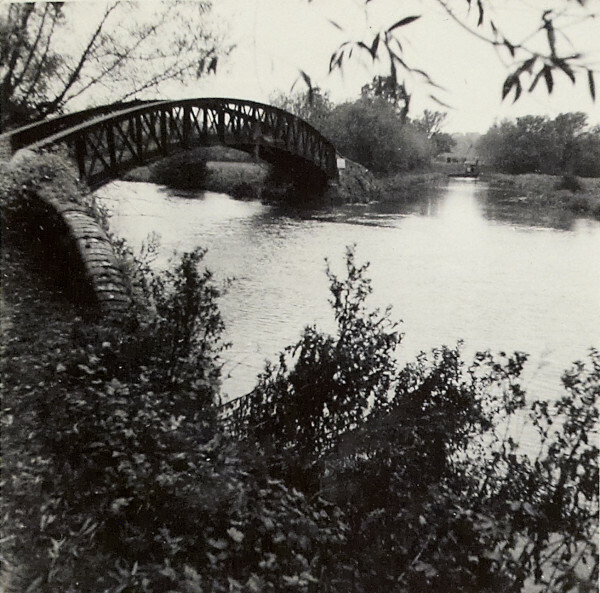 Bridge over Cherwell Baker's Lock"
Black and white photograph showing the T.P. Bridge over Cherwell Baker's Lock. Taken from behind some trees on the side of the canal, the bridge is on the left of the photograph with the canal passing under it and to its right. This photograph is on page 44 of the C N Hadlow photograph album.